The NFL has announced it will return to yellow penalty flags next week, two weeks earlier then planned. 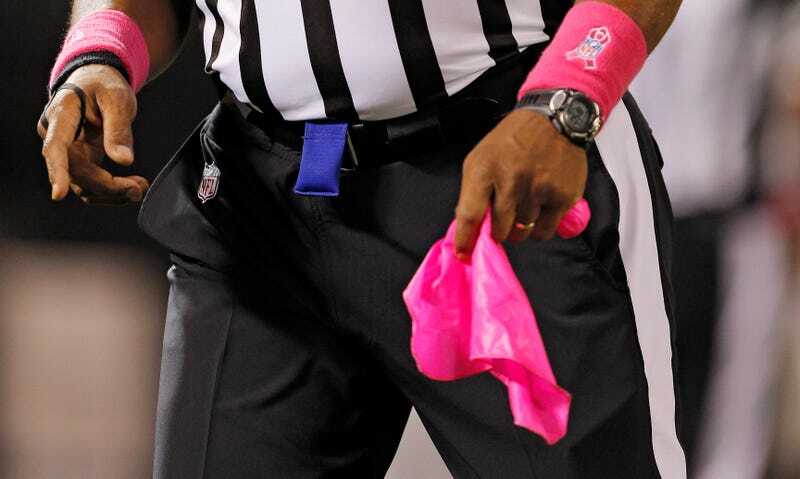 Breast cancer awareness is nice, but not as nice as knowing if that's a flag or a stray towel on the field. The pink flags were new this season, after being introduced for a single Sunday Night Football game last year at the suggestion of an 11-year-old's letter. Screw you kid; you nearly ruined football.